This is what a REAL love letter looks like.. This is what we think a REAL love letter looks like. Sometimes you wake up from a restlessly short night after burning the midnight oil and understand that God has called you to do something way bigger than you. Sometimes that something takes you to a place that you’re unfamiliar with; a place with a rich heritage and connections to black excellence – and you feel like you’ve been charged with returning this place of current despair to its once glorious self… and sometimes instead of joining the legions of people who choose to be spectators and critics, you’ll choose to try to make a difference in this world.. or at least a community called Walnut Hills. Founding MORTAR has been one of the most fulfilling experiences of our lives; not just because we are literally living the dream, but also because we get to open doors for people who are used to doors being slammed in their faces. We get to say yes to people who’ve been told no their entire lives. We get to boldly go to places and do things that mirror many of the movements that our people have been pioneering decades. 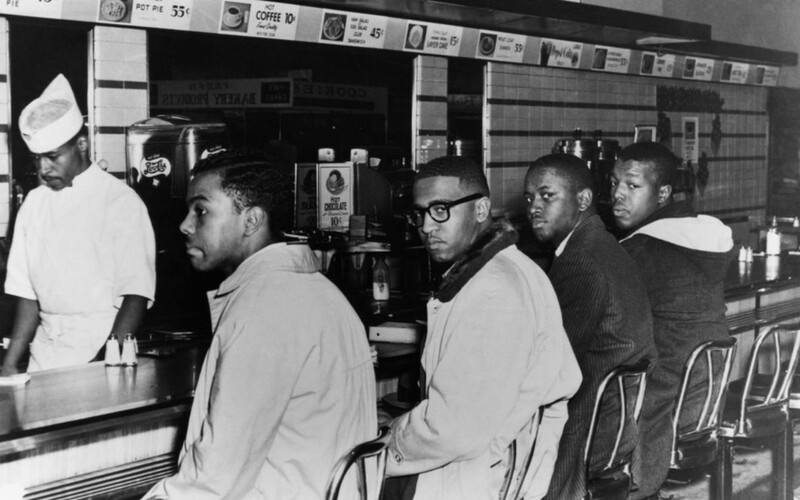 On a recent trip to Greensboro, NC, I got to visit the historic Woolworth’s location turned International Civil Rights Museum, and felt the energy of the sit in movement started by the Greensboro Four in this exact location. I immediately connected their movement with the work that MORTAR is doing and what it feels like to be a few young black men standing up and speaking out in a world that often wants us to sit down and be quiet. Upon returning to Cincinnati I discovered that the project that we’d been working on was also a former Woolworth’s, and it felt as if God Himself was giving us a confirmation that this was indeed the work that He wanted us to do. But sometimes you try to chase your dreams without the proper gym shoes. In the process of attempting to bring our pop up marketplace, Brick939, to Walnut Hills, there have been a significant number of challenges. We came into the neighborhood wanting to engage residents as much as possible. We wanted to get familiar with them, and allow them to find out who we are and why we were moving into their neighborhood. After trying new marketing techniques (like sending sending out 4500 mailers to area residents), we then shared our plans and asked the limited number of attendees who showed up to our community sessions what they wanted to see us do, because we really want them to be a part of the process. Trust me, there is a learning curve that comes along with deciding to do a 10,000 square foot location in a neighborhood that a lot of people still aren’t “comfortable” with visiting when you’ve only operated a 400 square foot space in one of the city’s trendiest spots. Maybe we weren’t completely prepared for what the response would (or wouldn’t) be. Maybe we overestimated what the responses would be from previous vendors, supporters and MORTAR students. Maybe we didn’t realize that people wouldn’t buy into our vision of what Walnut Hills could be if we worked collaboratively. Maybe we didn’t consider the fact that the very same consumers we were targeting were busy being enamored with the hottie around the corner: Over-The-Rhine. This is a story of a few dreamers who were able to find a couple of supportive partners in the area to believe in them. This is three guys deciding to throw the Hail Mary pass on 4th and long instead of kicking the easy field goal. This is a few bold souls who wanted to make a difference in a place called Walnut Hills, and the battle to get others to not only follow their lead, but also become fully enthralled by the potential that is buried in the pages of a little neighborhood near the center of Cincinnati. This is an amazing opportunity to be a part of the future. You can get in the game, helping to create what this awesome neighborhood can become, OR you can stand on the sidelines and criticize the people who are out here actually doing the work – (I’m positive there were plenty of people on both sides of that line during the Civil Rights Movement as well…) THE CHOICE IS YOURS. Here’s to Greensboro, and it’s newfound connection to Walnut Hills.